RemovalsMates provides relocation and removals services in Nunhead, SE15. Our movers will help you with everything – packing, loading and transporting of your belongings. Don’t let the relocation of your office prolong for several days. Book for our office removals services and we will relocate your office in a few hours. Our professionals will show up before or after your working hours and the fragile equipment will be packed and loaded into the van. The furnitures will also be wrapped up. We guarantee that during the transportation nothing will be damaged. We work in Nunhead, SE15 and all the other Greater London areas but it wouldn’t be a problem to us to transport your items do another city as well. The whole process of moving to a new place is much easier when being given a hand by professionals. 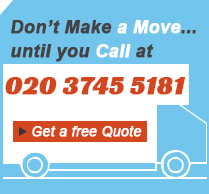 We are an experienced company, which has been offering high-quality removals services in the district of Nunhead, SE15. We have been operating for several years and proving our customers with the most effective solutions when it comes to moving heavy items. Our team of attentive experts will help you move all your furniture, electrical appliances and other heavy items to the new place in the safest way. Don’t hesitate to contact us. For more information, call us and our friendly operators will answers your questions. We offer reliable and timely removals for all resident of Nunhead, SE15. Your office equipment and furniture, house appliances and heavy objects will be loaded, disassembled if necessary, packed and transported to the address you need them moved. Our removals are done in line with the needs and requirements of every customer. If you want to have your fragile items transported to any destination, call us and reserve the removal you need. Our services are inexpensive and provided seven days a week. We offer packing and storage services for keeping your possessions intact during transportation and under key for a certain time. House removals can be seen like something very simple, but the truth is all of our clients agree that it is irreplaceable and extremely adequate and utile service. You can move all your furniture and stuff form one to any other part of London without any problems and without worrying how you are going to fit everything in you small city car. So this is our advice to you – take example form all our clients and call one of our numbers and will come and assist you. If you prefer it, you can come see us in our office building in Nunhead, SE15.